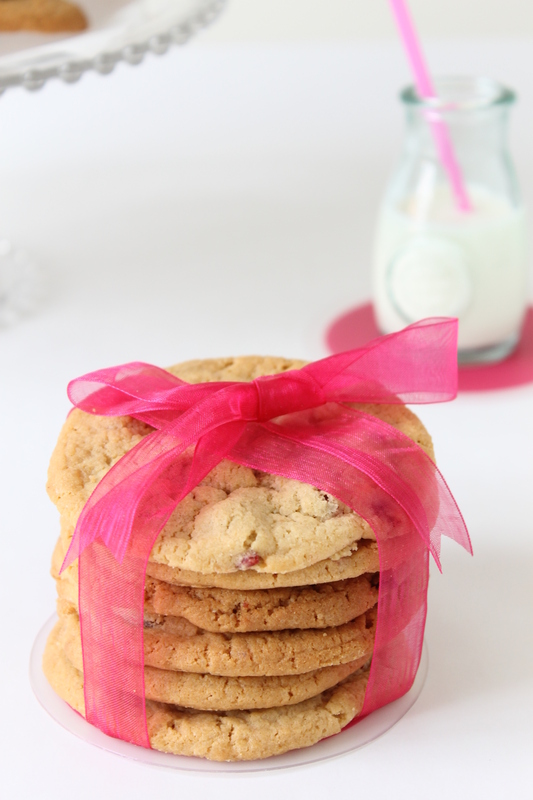 I have never bothered to bake homemade cookies at home, it was something for what I was very lazy. Lazy… until the day I tried this recipe. 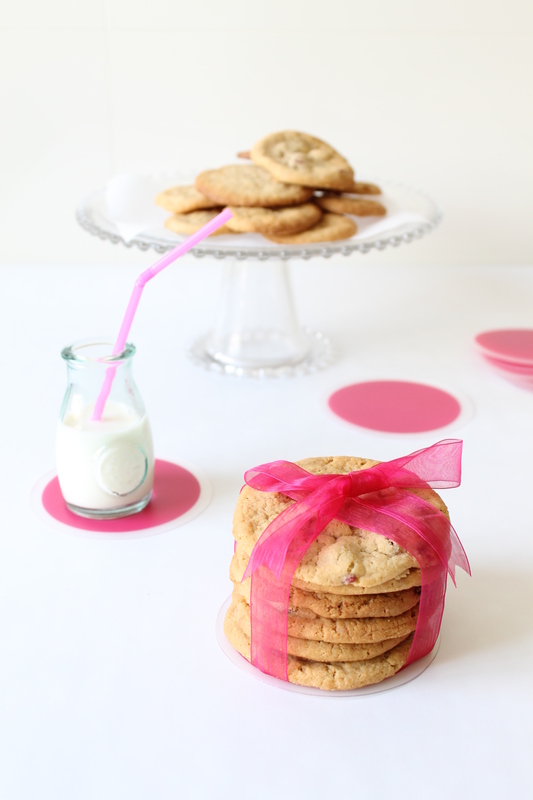 They are so tasty, so yummy… and the strawberries and white chocolate add a special touch. The best part is that preparing them is quite easy and fast. Since I baked them for the first time, that cookie laziness has turned into an obsession for homemade cookies. 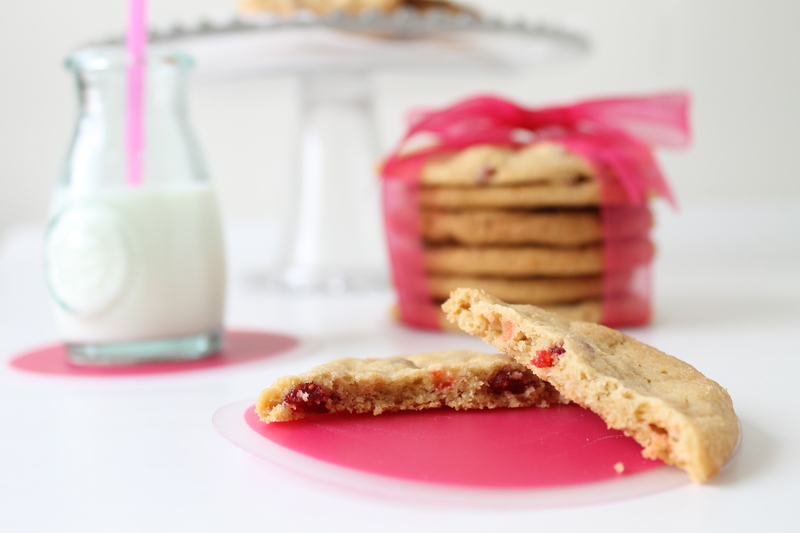 This recipe calls for dried strawberries, but you can use any other dried fruit instead (adding a flavouring of the same fruit will enhance the taste of the cookies, but vanilla extract will work as well). Don’t be afraid of doubling the quantities to obtaine more dough: the cookies will disappear, guaranteed! Preheat the oven to 175 ºC (350 ºF). Cream together butter, Crisco and sugar, until light and fluffly (about 3 minutes). Add the egg and the strawberry flavor. In a separate bowl, whisk the dry ingredients (flour, baking soda and salt). Add to the butter mixture, slowly, until completely combined. Add the strawberries and white chocolate, folding until combined. Use an ice-cream scoop to place equal dollops of dough onto a baking pan. Bake at 175 ºC (350 ºF) until golden-brown, about 12-15 minutes. Place the cookies onto a wire rack and let rest until cool.